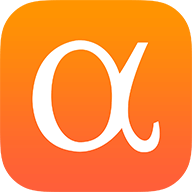 Welcome to Seeking Alpha’s Venture Capital Deals of the Week. Follow this account and turn on the e-mail alert to receive VCDeals in your inbox on Saturday mornings. SoftBank (OTCPK:SFTBF,OTCPK:SFTBY) led and Qualcomm (NASDAQ:QCOM) participated in a $1.25B round for OneWeb, which will in the coming weeks launch its first six satellites providing high-speed internet access. Grupo Salinos and the government of Rwanda also participated. Total funding now stands at $3.4B. OneWeb is preparing for the large-scale production and launch of its first-gen constellation of 648 satellites. The company wants to offer regional service next year with 300 satellites and full service in 2021 with 600 satellites. The mathematically missing 48 satellites are spares. Large-scale production will begin soon in Florida. In Q4, OneWeb will start launching the satellites in batches of 30+ with Arianespace as the principal launch provider. OneWeb has stopped providing system cost projects, but prior guidance was between $2.5B and $3.5B while external estimates have reached $7.5B. Hyundai (OTCPK:HYMLF,OTCPK:HYMTF) and Kia (OTCPK:KIMTF) invested $300M into ride-hail platform Ola in a strategic partnership focused on electric vehicle development. Total funding now stands at $3.8B. The partners will build “India-focused” EVs and infrastructure that’s customized for Ola’s fleet and operational software. The project will also include financing programs like loans and installment payments for Ola drivers who want to purchase an EV. Ola recently spun out its Ola Electric Mobility EV business and challenges include building the infrastructure in India’s sprawling landscape. India’s government has informally pledged to make 30% of the country’s vehicles electric by 2030. Ola’s goal is to have 2M drivers (current: 1.3M) and 1M EVs by 2022. GV (GOOG,GOOGL) and SoftBank Vision Fund were among the many backers in a closed $300M round in online home marketplace Opendoor on a $3.8B valuation. General Atlantic led with Hawk Equity, Norwest Venture Partners, and Khosla Ventures among the others. The round brings total equity funding up to $1.3B in equity with about $3B in debt financing for property purchases. Opendoor uses data modelling to spot opportunities for homes and gaps in the market plus the optimal pricing, which reduces the startup’s risk when taking on a property. The company’s data sets include historical economic and housing data from the past several recessions to help prepare for the next one. The company has reduced the average time a company is on its books from the 140 days in 2015 to 90 days. The new funds will go towards product development and expansion into more North American markets. Competitors: Zillow (NASDAQ:ZG) and Redfin (NASDAQ:RDFN). T. Rowe Price (NASDAQ:TROW) joined a $125M round for Rent the Runway, pushing the clothing rental service into the start of unicorn territory with a $1B valuation. Franklin Templeton and Bain Capital were the other institutional investors and some existing investors also joined the round. Since its 2009 launch, Rent the Runway has expanded to offer a monthly subscription service that includes Member Concierge stylist and teamed up with West Elm to offer rental bedding and home decor. The company says its customer base includes 76% of zip codes in the United States with nearly half having household incomes under $95K with a quarter having household incomes under $60K. With the new funds, Rent the Runway plans to invest in building out its technology and logistical operations. And the chances of an IPO became stronger after the round. Competitors: Stitch Fix (NASDAQ:SFIX) offers a clothing subscription model while Amazon’s (NASDAQ:AMZN) Prime Wardrobe lets shoppers try on clothing before buying. Estée Lauder’s (NYSE:EL) millennial-friendly competitor Glossier raised $100M in a round led by Sequoia Capital at a $1.2B valuation. Tiger Global Management and Spark Capital also participated in the Series D.
Glossier’s aesthetic is the “no makeup” makeup look, minimalist packaging, and the social media prowess of founder Emily Weiss made the brand a sensation on Instagram. Sales doubled last year to over $100M for its direct-to-consumer products. Glossier recently hired Dropbox and Oath vet Vanessa Wittman as CFO and expanded its products to include the Glossier Play line, which focuses on bolder color cosmetics.